First of all Mornington is a great real estate market for young families. Most of all, for families with children moving towards independent age. We have fabulous schools, a choice of playgrounds, nature reserves and dog friendly park and best of all the beach! Due to the beaches and lifestyle which is quieter than the city it seems like the perfect place for families. The slower lifestyle, abundance of cafes and easy walks make Mornington very popular for our older residents. Many older couples and singles seem to be drawn to the area from the inner city suburbs. As a result demand for rental properties has increased. Hence, everyone is looking to experience life on the Mornington Peninsula and take advantage of the space and beauty it offers. Therefore, the Mornington Peninsula is the ultimate sea change! Since the beautiful beaches and coastal views as far as the eye can see makes living here the complete lifestyle. Properties located on the Esplanade with uninterrupted bay views are well sort after. They are almost a symbol of the local real estate market. Furthermore, modern housing and apartments have become a prominent figure in Mornington. This has changed the face of the real estate market to encompass ‘city-living in a coastal scene’ style. This is due to the development of modern townhouses which have a contemporary city feel. Especially relevant are the many quality Café establishments throughout the town. Cafes drive the social scene and the weekly Mornington Main Street Market draws huge crowds. Lifestyle in is on par with the city, it is easy to see why locals love living in Mornington. To find your idyllic rental property or ideal property for sale in the Mornington area contact the experts at Impact Property Management Group. We will make sure to get the perfect fit for you and your family. A great Property Manager is the difference between an investor having a rewarding stress-free investment or a constant time-consuming hassle. Often investors underestimate the complex nature of property management and it requires comprehensive knowledge of the legislation and experience to elevate a property manager from adequate to exceptional. A great property manager will keep in constant contact with investors, either through email, telephone calls, rental management reports, market updates etc. Communication should be clear and concise to both the investor and tenant (where required) to ensure that there are no problems at any time during the property management. A great property manager will not only know the legislation inside out but will also know how to apply the legislation correctly. This is a critical aspect of property management as the incorrect application of the legislation can result in financial loss for investors. A leading example is in the case of malicious damage how a property manager must present the case to VCAT to ensure the Member agrees it is malicious damage to ensure the investor can then make a claim under their landlord insurance. Most insurance companies will not pay out a claim for property damage caused by a tenant without a ruling by VCAT for malicious damage and results in a costly experience for investors. In addition to this property managers must be able to stay abreast of the changes in legislation as these laws change constantly and can be quite intricate. It is important that property managers have a firm grasp on these matters. A great property manager will place people as their highest priority and promote themselves as a trusted advocate for investors, tenants, and colleagues. It is their level of experience and knowledge which makes investors feel as though they have someone they can trust to manage and maintain their investment. Personal and professional are closely aligned however it is imperative property managers maintain a certain level of professionalism when dealing with tenants, investors, and tradespeople etc. 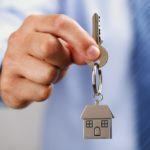 A great property manager is, but kind, and is comfortable dealing with sensitive issues such as the condition of a property or rent increases. Property managers are busy! A great property manager has systems and procedures in place for maintenance, rental payments, rental arrears, inspections etc and they are able to stay focused when things get busy. This means maintaining open lines of communication, being professional at the same time as being able to get on top of the ‘To Do’ List. How you can save a house deposit while renting. Save a House Deposit While Renting? Yes, this is a big obstacle many Australians face. For most it may seem impossible and out of reach, but take it from the team at Impact Property Management Group, you can do it! Check out our advice from our team of property management experts. Bills bills bills, we all have them whether they are big or small. They come in like clockwork too, and when they do you might be asking yourself, “Can I really save a house deposit while renting?”. Save a House Deposit While Renting – If you are planning on saving the recommended 20% deposit, you will benefit in the long run and likely save tens of thousands of dollars while still keeping up with all your living expenses. We can’t stress enough that every bit of savings will help you get that much closer to your home loan goals! This is crucial. Take a step back and allocate some time to understand your spending habits and finances. It would be highly worthwhile printing out your bank statements and highlighting expenses that are necessary – utility bills, transport, food and pet expenses you may have. Once you have a list, try to find ways to minimise each expense. For instance, if you are spending $150 a week on a food shop but most of your items in your food basket are branded, consider buying the no name brand for the time you are saving. You would be surprised how much you can save by purchasing no name brands! Another way to save would be to keep an eye out for specials your local grocery store is having. Once you have identified all your living expenses, it’s time to list the unnecessary expenses that you can do without. These would include buying coffee from cafes, gym memberships, cigarettes, alcohol and take away. This is where you can potentially save quite a bit of money. Instead of buying a coffee, make it at home. The same goes for your daily food intake. Pre-plan your meals and know what your having for dinner after a long day. We completely understand that enjoyment must be taken into consideration, so allocate a portion of the money to a night out or some kind of enjoyment, even if it is just once a month. It is also a good idea to request a copy of your credit card file. You should review and correct any debts you have against your name. Ideally, you want to have any kind of debts cleared before applying for a home loan. Once you have an understanding of your living expenses, misc expenses and your credit rating/debts you have, it will help you to determine a clear path forward on your budget plan. Have a chat with a financial planner if you find this initial process daunting. We highly recommend Simon Dundas-Smith from Orbis Wealth Management. Their team of professionals will get you on the right track in no time. 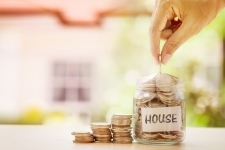 It has been mentioned above however, there are few other ways to trim those expenses and leverage your saving potential while you save for a house deposit. If you can, negotiate your rent and try to reduce this expense. If negotiation with your landlord is unattainable, consider finding a roommate, downsizing to a smaller or older place which is cheaper are all options. You can also try negotiating with your utility and service providers. Approach your electricity, gas and internet providers and ask for a better deal. You may be surprised to find out just how much providers want to retain loyal customers. Be conscientious about your energy expenses. If you are not in a room turn the light off, the same goes with your heater or air conditioner. It’s a simple practice which goes a long way. After working out how much you can save each month, ask your employer to take out the amount you have chosen straight away and deposit into an allocated savings account. Trying to save money after all your expenses and monthly living costs are finished never plays out well. We recommend you save first and manage the month with the money left. This is a great idea to consider. Having a separate savings account allows you to visually see how much you are saving, which may motivate you to keep going. Aside from that, there are a fair few saving account options which allow for you to deposit money into but you are unable to pay for things with it. The account will require you to transfer funds to your main account. That middle step is fantastic and allows you to think about any purchases you are wanting to make. Check out this list of banks who offer savings accounts. Finding one which provides the most amount of interest and no account fees is of great value to you during your savings period and beyond. If you are in the market for your first home, feel free to get in touch with one of our highly acclaimed property managers. 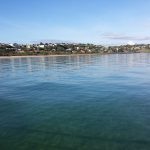 Our team of Mornington Real Estate agents are based in the Mornington Peninsula and cater to real estate and property management clients in Frankston, Mt Eliza, Mount Martha and other surrounding areas of Mornington Peninsula.